It’s Friday night and with the car swap logistics completed at Aratula, our group of eight commence the drive in the dark to Spicers Gap. Cattle sleeping on the road, almost prematurely ended our excursion before it began. 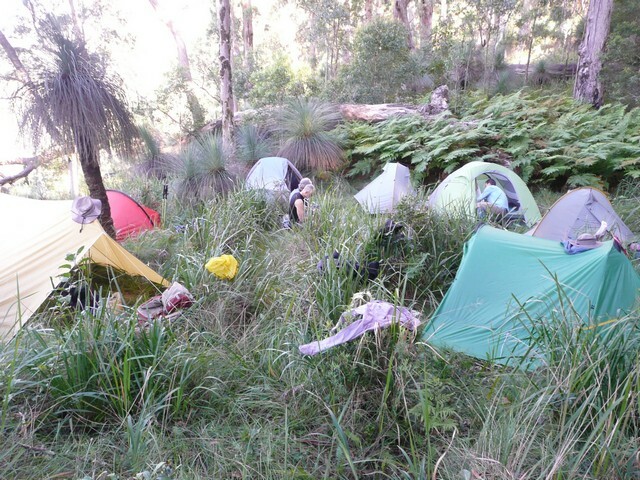 Obstacles aside, we reach Spicers Gap and set up camp. A 7 AM start beckoning in the morning. Rain has been persistent for most of the week, but the weather bureau is all but guaranteeing zero precipitation for our three-day journey. The clear sky that greets us in the morning supports their prediction. 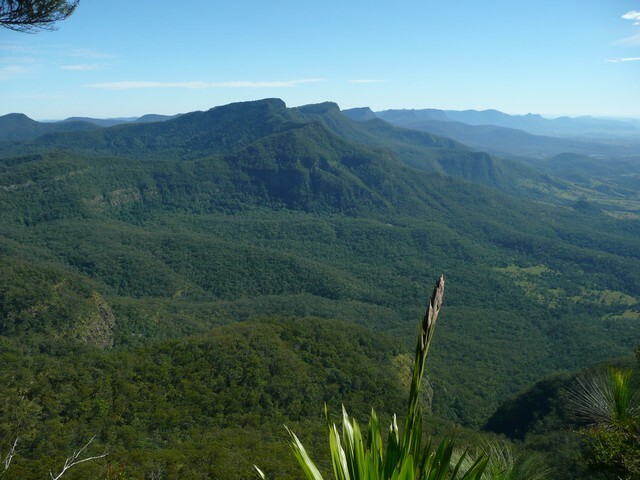 Almost immediately after setting out from Spicers Gap, we gaze upon Spicers Peak, which dominates this section of the Main Range National Park. My admiration of the high rocky peak, turns to a feeling of dread and misgiving when Richard says “We’ll have morning tea on the top”. Morning tea suddenly seems a world away. 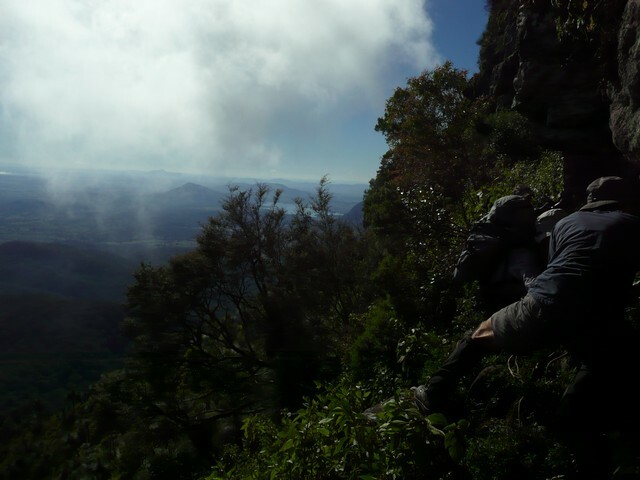 Exhausted from the scramble and steep climb, Spicers Peak at least offers superb views of SE Qld. A view we will become very familiar with – but not tire of – in the ensuing three days. Looking south along the Main Range, we see Mt Doubletop, our next peak and planned lunch stop. Unfortunately a long steep descent from Spicers and an equivalent ascent separates the two peaks. Early on in a group walk such as ours – and even prior to the walk commencing – one tends to size up their fellow companions; determining who might be the strongest walker and conversely who’ll be the slowest. Very early I suspected I may be the latter, by lunch it appears to be proven beyond all reasonable doubt. As the afternoon continues, we walk through vegetation ranging from open eucalyptus and grass trees to rainforest. 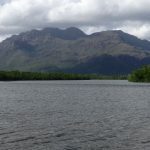 The trail is evident in places – but with the Qld summer recently concluded, during which few would attempt the Spicers/Teviot traverse – navigation was often needed. 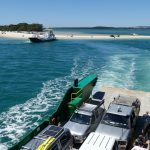 This is made easier by any attempt to meander left – or east – resulting in a confrontation with a sheer drop off the main range escarpment. The day concludes with an exhausting scramble to the summit of Mt Huntley. 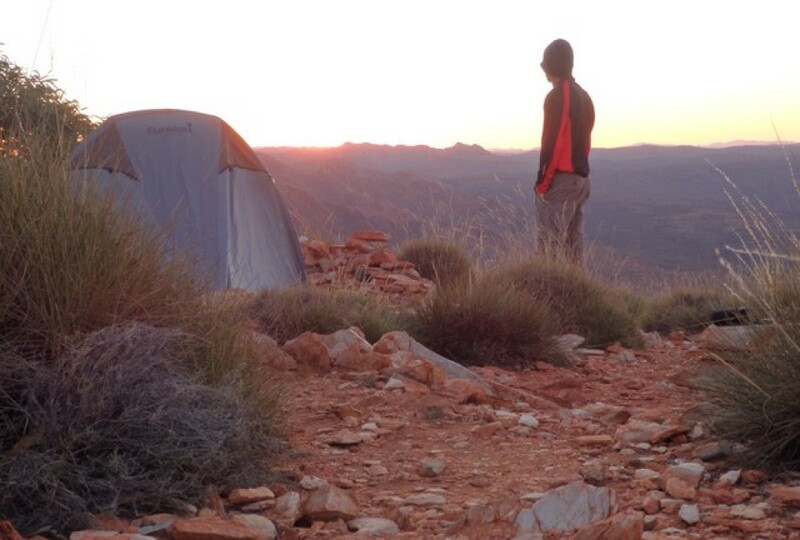 With sun setting, I collapse at the campsite, willing the energy to erect the tent. My relief is short-lived at the realisation that my water bottles are empty. An hour to collect ‘muddy’ water from a ‘nearby’ spring and a stumble back to camp in the dark without torches, is the icing on a torturous cake. Checking our phones after setting up camp, we get bad news from the group coming from the opposite direction. One of their group has twisted or possibly broken his ankle approx four hours into the walk, resulting in the entire group having to retrace their steps back to the waiting vehicles. We learn a couple of days later, that the return journey took 1 1/2 days! I awake sore but not broken. I’m reassured by another in our group that has completed this walk up to half a dozen times (why), that the first day is the longest and most strenuous of the three. Today we traverse Mt Asplenium, and the aptly named Panorama Point and Lower Panorama. The one constant on this walk is that one is rarely standing perpendicular to the ground. Level terrain is a luxury. 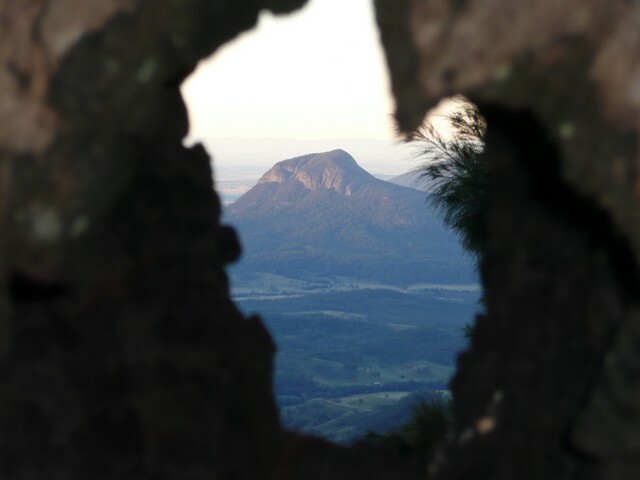 The fantastic views – both east and west – are worth the exertion and the walk’s reputation as one of SE Qld’s finest is well-earned. 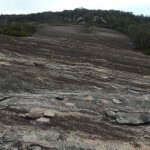 Mercifully we arrive at our campsite – The Steamers Saddle – around 2.30 PM. I’m grateful for the opportunity to kick back and enjoy the afternoon. 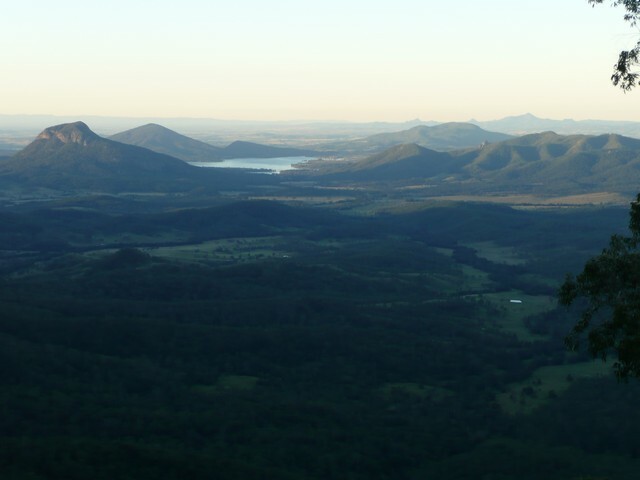 This campsite offered what Mt Huntley – the previous nights campsite – didn’t; shelter from the westerly wind, clear running water less than two minutes away, and a superb view looking across to Moogerah Dam and beyond. We sit and watch the sunset throwing spectacular colours across the sky, followed almost immediately by the full moon rise. House lights – as far away as Ipswich – blinking in the early evening light. I consider rising early in the pre-dawn cold to witness the sunrise, but that would be out of character for me. I’ll get Richard to email me his photos instead. The day starts with a long steep climb commencing almost immediately from the campsite. Once on the ridge top, the walk across to Lizard Point, on either an open ridge with distracting views or through pockets of rainforest, is one of my favourite parts of the walk. Lizard Point offers one of the best vantage points in SE Qld, a place one can gaze out from for hours. The morning tea break barely does it justice. 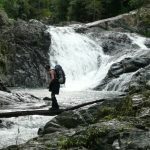 From here we traverse through predominately rainforest to Mt Roberts and on to the saddle below Mt Superbus for lunch and our ‘last supper’ of the walk. The final steep trail down the spur to Teviot Gap and waiting cars was not as slippery or difficult as we anticipated. 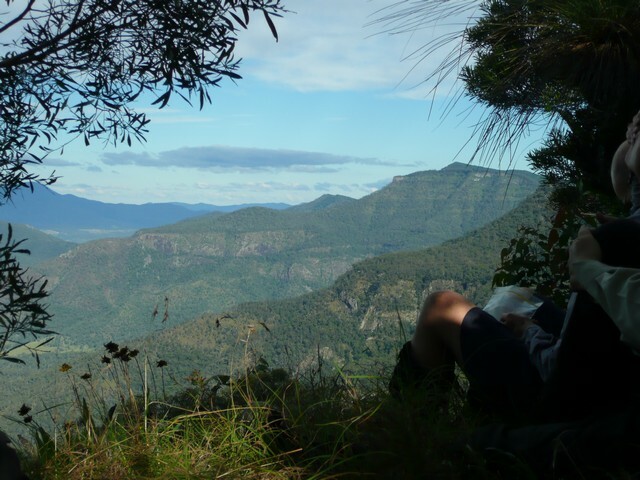 Spicers Gap to Teviot Gap – or vice versa – is an exceptional walk, but it was a sturdy enough test not to hurry back and attempt again, especially given the near perfect weather we experienced. At least not until the passing of time has dulled the hurt from my memory. 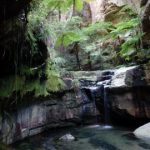 This entry was posted in Multi day hikes in Australia and New Zealand and tagged best bushwalks in queensland, best walks in queensland, Hiking in SE Qld, Lizard Point, Main Range National Park, Main Range traverse, Mt Doubletop, Mt Huntley, Mt Superbus, Scenic Rim Trail, scenic rim walk, spicers gap teviot gap bushwalk queensland, Spicers Gap to Teviot Gap, spicers gap walk, Spicers Peak, Steamers Saddle, Teviot Gap to Spicers Gap by danthewanderer. Bookmark the permalink. Dont have any track notes as such. I was with someone who knew the way, so didnt take too much notice, other than it does pretty much stay near the edge of escarpment the whole way. There is a website where people upload their GPS data for hikes they have done, but cant for the life of me remember what it is. If it comes to me, will send another message. Great to read about your hike. If you don’t mind I would like to ask how well defined the track was from the steamers saddle to teviot gap I am wanting to walk from teviot gap and camp in the saddle and hike a little further to the steamers. From memory, the track from Lizard Point to the Steamers saddle is defined enough & follows the edge of escarpment, so should be ok. However the track from the ridge above Teviot Gap across to Lizard Point through the rainforest can be a lot less defined at times. 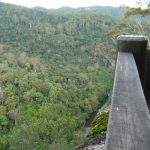 We do a lot of hikes also, and have almost the same list in SE Qld, but haven’t done this one! But will shortly. Loved reading your notes and appreciated the humorous truthfulness that I can relate to. Thanks for the post. Good to hear from you. Appreciate your comments & good luck with the walk. Hi Graham, appreciate the feedback, hope it all goes well next week.